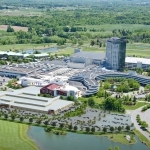 Tanger Factory Outlet Centers, Inc. (“Tanger”) (NYSE:SKT) and Gordon Group Holdings, LLC., announced today that they have entered into an agreement to develop an upscale outlet center at Foxwoods Resort Casino in Mashantucket, Connecticut on the Mashantucket Pequot Indian Reservation. Foxwoods Resort Casino is the largest casino complex in the United States by gaming square footage. 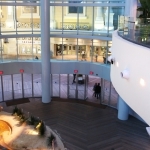 Foxwoods attracts approximately 16 million annual visitors, an average of more than 40,000 people per day, making it an ideal new home for Tanger Outlets Foxwoods. Tanger, along with the Gordon Group, will build, manage and own the facility. 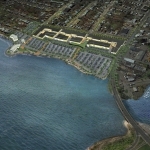 Tanger is a recognized leading owner, developer and manager of outlet shopping centers in the United States and Canada. Tanger Outlet Centers are characterized by a tenant mix of leading designer and brand-name manufacturers. Each center provides a unique opportunity for customers to purchase a variety of brand-name products for the entire family directly from the manufacturer at substantial savings. The proposed 312,000 square foot center at Foxwoods is designed to efficiently connect the MGM Grand Hotel & Casino and the Grand Pequot Casino Hotel. The new Tanger Outlet Center will be visible from the two main entrance ways into the Foxwoods Resort Casino and will also be accessible internally from the MGM Grand and Grand Pequot casino floors. “The opportunity to develop a new outlet center at the largest casino in the United States, with Sheldon Gordon and his team, was one not to be missed. Given the approximately 16 million resort visitors per year, it is no wonder tenant interest has been strong. 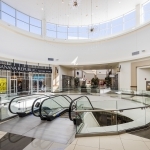 Tanger’s top retail partners are looking for growth in dynamic environments and it is our intent to provide them with great outlet shopping center sites, such as Foxwoods, to meet their needs,” stated Steven B. Tanger, President and CEO of Tanger Factory Outlet Centers, Inc. 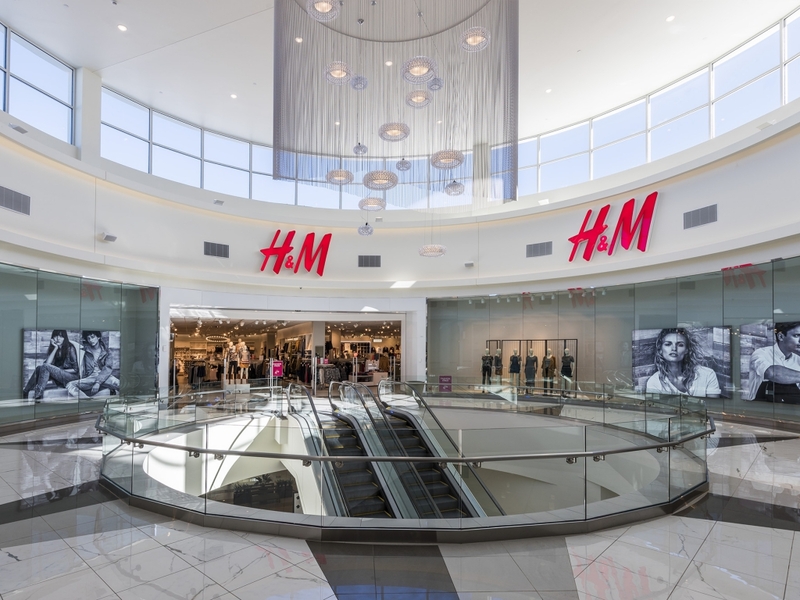 It is anticipated that this high quality outlet shopping center will generate over 400 construction positions during the construction phase, and approximately 900 full-time and part-time jobs in the area when completed. Tanger Factory Outlet Centers, Inc. (NYSE:SKT) is a publicly-traded REIT headquartered in Greensboro, North Carolina that operates and owns, or has an ownership interest in, a portfolio of 39 upscale outlet shopping centers in 25 states coast to coast and in Canada, totaling approximately 11.9 million square feet leased to over 2,500 stores operated by over 430 different brand name companies. 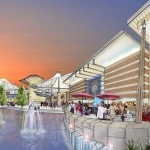 More than 175 million shoppers visit Tanger Factory Outlet Centers annually. For more information on Tanger Outlet Centers, call 1-800-4TANGER or visit the company’s web site at www.tangeroutlet.com. Gordon Group Holdings is renowned as one of the leading specialty retail development firms in the country. The Gordon Group is associated with numerous world-class properties, including retail and restaurant leasing and development representation at The Forum Shops in Las Vegas, Mohegan Sun Casino, Bridgemarket in New York City, San Francisco Center, and The Beverly Center in Los Angeles. The Gordon Group has been recognized over the past 40 years for their award-winning developments using innovative retailing solutions. 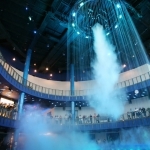 The unique formula of creating spaces pulsing with energy, excitement, and drama is the hallmark of its destination locations. This news release contains forward-looking statements within the meaning of federal securities laws. These statements include, but are not limited to, the development and opening of a new center and management’s beliefs, plans, estimates, intentions, and similar statements concerning anticipated future events, results, circumstances, performance or expectations that are not historical facts. These forward-looking statements are subject to risks and uncertainties, and therefore, actual results could differ materially from those projected. For a more detailed discussion of the factors that affect the operating results of the Company, interested parties should review the Company’s Annual Report on Form 10-K for the fiscal year ended December 31, 2011. Those factors include, but are not limited to, the risks associated with general economic and real estate conditions in The United States and Canada, the Company’s ability to meet its obligations on existing indebtedness or refinance existing indebtedness on favorable terms, the availability and cost of capital, the Company’s ability to lease its properties or to meet its minimum pre-leasing hurdles on proposed new developments, the Company’s ability to implement its plans and strategies for joint venture properties it does not fully control, the Company’s inability to collect rent due to the bankruptcy or insolvency of tenants or otherwise, and competition.